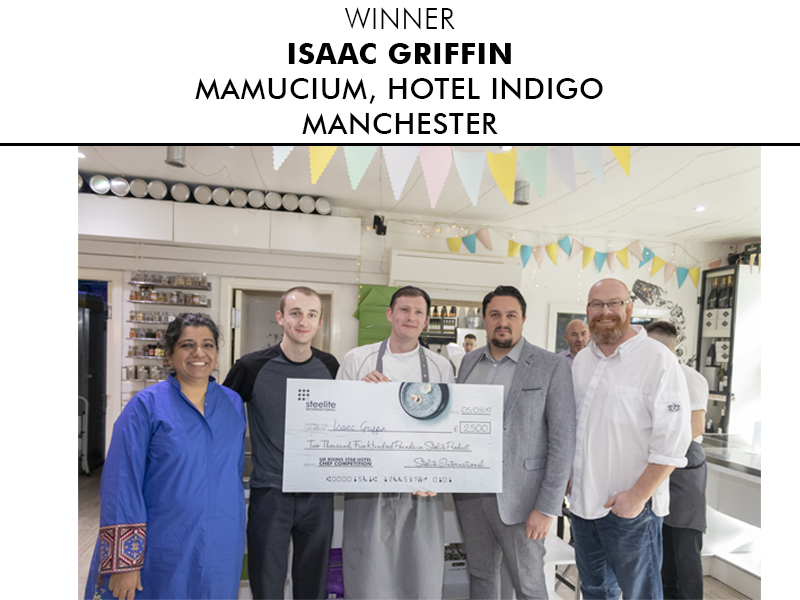 Isaac Griffin, Chef de Partie at Hotel Indigo Manchester’s Mamucium restaurant, has been named the winner of the first Rising Star Hotel Chef competition, run by tableware manufacturer, Steelite UK. The national competition sought talent from young hotel chefs aged 18-30. From over 60 initial entries, Isaac claimed the title with his winning dish of pan-fried chicken breast with crispy chicken skin and pancetta and white kidney bean ragu, served with potato pearls and thyme glazed carrots; plated on Willow. As well as the title of Steelite UK’s Rising Star Hotel Chef 2019, Isaac also wins a three-night culinary experience for two to New York City which includes attendance at renowned chef conference, StarChef International, and £2,500 of Steelite product for his establishment.